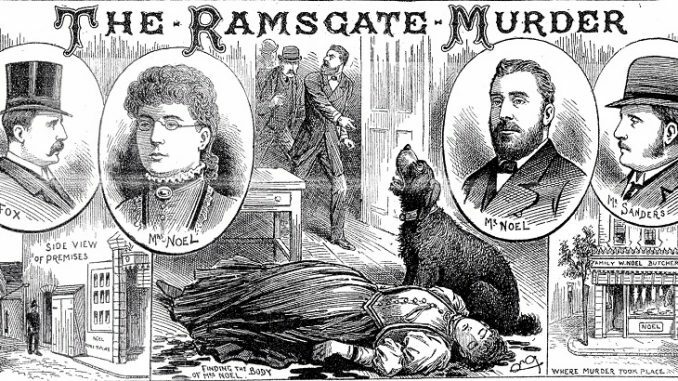 Tales of gruesome murders that took place in the homes and on the streets of Ramsgate are to be recounted in a terrifying new tour. Rotten Ramsgate launches on October 31 with a special Halloween walk taking in an historical body count of murderous tales from the East Cliff and Westcliff. During the 1990s Johanne took a keen interest in the Whitechapel Murders and joined The Cloak & Dagger Club. A decade later, until 2017, she became involved with the Whitechapel Society and The Jack the Ripper Crime Conference. Johanne’s interest was piqued by Chris Scott’s book, The Ripper in Ramsgate, and further whetted by the penny dreadful tales contained in Victorian Murders by crime writer and Cardiff University professor Jan Bondeson. From this, and further research, Rotten Ramsgate tours was born. The walks launch on October 31 with a Halloween Special, taking around two hours, followed by 75-minute weekly tours on Friday evenings thereafter. Johanne said: “All of the murders are historical with dates ranging from 1651 to 1930 and the weekly tours are split between the East and West cliffs of Ramsgate. “From April to September 2019 I also plan to run the extended tour on the morning of the first Sunday of each month which will include a short refresh/comfort break. The October 31 tour is already a sell-out but places can be booked for the weekly tours.